Canisius and Niagara have released their hockey schedules for the 2017-18 seasons as both begin new chapters with new head coaches. The teams play home-and-home Dec. 8-9, meeting for the first time in Dwyer Arena on Dec. 8 with the series shifting to HarborCenter on Dec. 9. 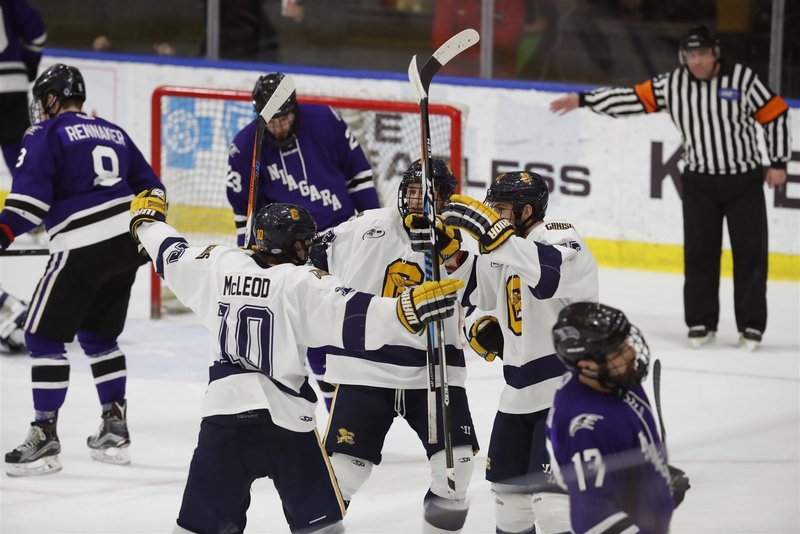 The two clash during the regular season finale with Canisius hosting Feb. 23 and Niagara hosting Feb. 24. The Griffs, who won the Atlantic Hockey regular season championship last season, will be guided by first-year head coach Trevor Large. With six non-conference games on the schedule, Canisius will host Colgate (Oct. 21) and Clarkson (Dec. 2) with four of their non-conference games on the road: at Cornell (Dec. 30), at Clarkson (Jan. 2) and two games at St. Lawrence (Jan. 5-6).